"Finding a good flight instructor is not an easy task. 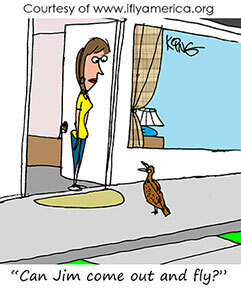 I am now working with a person who seems more interested in his smartphone than teaching me how to fly." - Myles J. "Remember, you are the customer in this flight training process so don't be afraid to fire your CFI or your flight school if they are not giving you full attention and treating you as a customer. We all have personality preferences and if you and your CFI are not fitting together, don't be bashful about asking for a switch. There should be no hard feelings if it is done politely. CFI training spends quite a bit of time on the subject of personality issues and instructors are also encouraged to suggest a switch if things are not going smoothly. You are spending a lot of money on these lessons and you are entitled to your money's worth. A good place to start to look for excellent instructors is with the professional organizations. 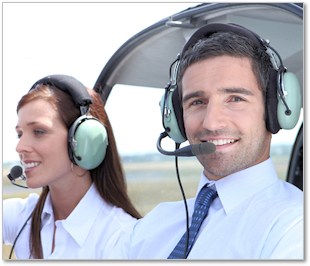 There are at least 2 professional organizations available for flight instructors. One is The National Association of Flight Instructors (NAFI) and the other is the Society of Aviation and Flight Educators (SAFE). Both of these organizations support professionalism in flight training and have web sites that list member flight instructors. Of course simply belonging to an organization does not guarantee a good instructor, nor does not belonging to them mean your instructor is bad. But, in my view, Instructors who join these organizations do so to learn the best practices from other experienced instructors and to keep up to date in the industry. That is at least one piece of the puzzle. We all spend a lot of time and money with our flight instructors, so it is worth the effort to do a little work to make that investment enjoyable."